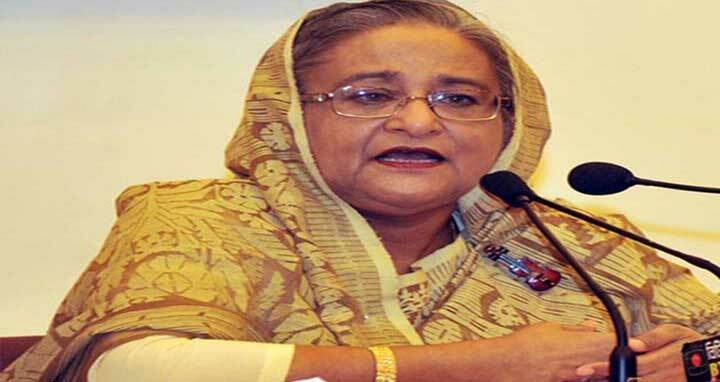 Dhaka, 19 September, Abnews: Prime Minister and Leader of the House Sheikh Hasina today reaffirmed her government’s determination to send back the Rohingya people to their homeland, asserting that there is no scope for them to stay in Bangladesh for a long term. “We hope that safe, honourable and sustainable repatriation of the forcibly displaced Myanmar citizens to their homeland will be possible thanks to diplomatic efforts of the Awami League government,” she said. The prime minister made the remarks while replying to a written question raised by Jatiya Party lawmaker Nurul Islam Milon during her question answer session in the House with Speaker Dr Shirin Sharmin Chaudhury in the chair. The Leader of the House said her government made allout diplomatic efforts and held discussions on Rohingya issue with the countries concerned. “They’ve acknowledged that influx of 11 lakh Rohingyas into Bangladesh is a big burden for us and they have thanked us for giving shelter on humanitarian grounds,” she said. The prime minister said Bangladesh received huge response from all the countries to put pressure on Myanmar so that they take back their nationals from here. “We’ve signed three agreements with Myanmar and they agreed for repatriation of their nationals, but they don’t act accordingly. However we remain very much active in this regard,” she said. The prime minister said Bangladesh’s foreign minister has discussed with the envoys and other ministers of the countries which have borders with Myanmar. In this regard, she said, everybody has agreed that atrocities were carried out on the Rohingyas and they will have to be taken back to their motherland. “Some countries put pressure directly and openly, while some created pressure indirectly or informally. Even China and India have taken a decision to build houses for them in Rakhaine state of Myanmar,” she said.